Delicious crockpot potatoes, or delicious potatoes in a slow cooker, however you want to label this dish does not alter how simple it is to prepare, how easy it is on the budget and of course how absolutely delicious it is to eat for the whole family. Welcome to all the Home chefs from the East Coast of Africa and around this wonderful world of ours. I know you are going to love this recipe and will land up using it over and over and over. I particularly like putting it on the menu when we are doing a braai (or barbeque), I can get it cooking long before the guests arrive and then merely keep it warm until everyone is ready to eat, no last minute panic stations that the food is not going to be ready on time. 2lbs baby potatoes, halved and quartered if large. 8 slices of bacon cooked. Sour cream for drizzling on top just before serving. Line your slow cooker with foil and spray with cooking spray. Add ½ the amount of potatoes. Cover and cook on high until potatoes are tender (5 to 6 hours). 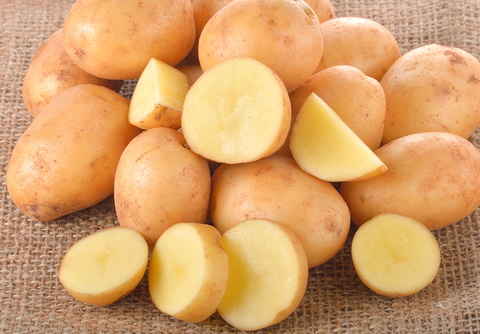 The bigger the potatoes, the longer they'll need. About 20 - 30 minutes before serving, top with remaining cheese. This is your moment to make the dish look "pretty". Garnish with the rest of the spring onions. Drizzle with sour cream just before serving. 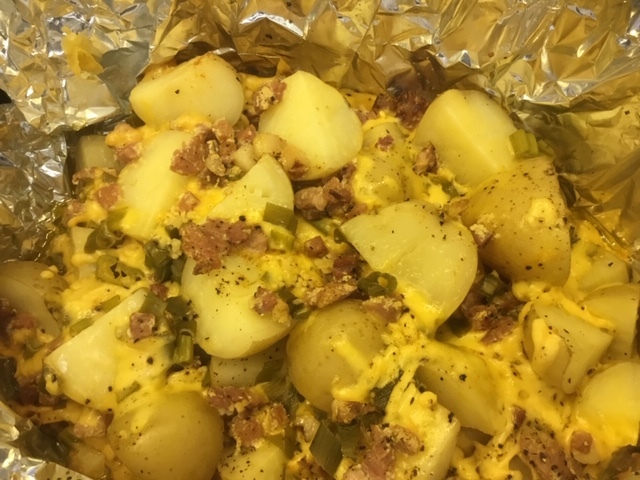 You can serve this potato dish as a side dish for most meals, like barbeque as we said in the beginning, fish dishes, cold meats the choice is yours!